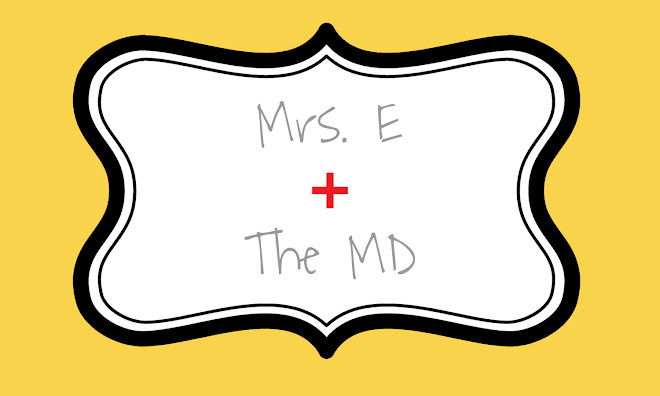 Mrs. E and the MD: Oh, Baby! I was full of nerves and jitters and anxiety as the ultrasound technician turned on the machine and put the gloop on my belly. Of course we were excited to know if we were having a baby girl or boy, but we were really just wanting to be reassured that this baby was healthy. Thankfully, the baby is very, healthy, and she's really cute! Yes, we are having another little girl! Luke thought that the baby was a boy but was only fooled by the umbilical cord. :-) The ultrasound technician, who was the same one we had when we had Noelle's ultrasound, said she was absolutely sure we were having a girl! I was so excited...we both were. We wanted a girl for Noelle and were ready to pull those bins of clothes down out of the attic. We told our families that night at our house and everyone was overjoyed. Now that it has hit me that we are having another baby girl, my mind is just swirling with thoughts of names, clothes, and the sweetness of seeing Noelle and her sister together. It will truly be a joy to watch them grow up. I hope they are close and happy and loving to each other. As far as names-- we were about 100% sold on Charlotte...but then it felt like we overused it and now aren't too sure. We also like Isla, and I like Hadley. Luke doesn't like that name though, so it probably won't fly. He likes Isla though, so we will see. I don't want to for sure say what the name is right now...still have 20 weeks to go, and I don't want to start getting monogrammed blankets and then decide I don't like it anymore. I want something feminine, sweet, and something that makes you say, "What a pretty name!" just like people do with Noelle. For now, though, we are relishing in the joy of knowing that in just a few months, we will be parents to the two most adorable girls on the planet, and that makes us so happy.